This studio is housed in the room that originally held the Jaffe Collection. Equipment includes two Vandercook proof presses, a Potter proof press, and a tabletop Platen press, all from the twentieth century. This studio can be found in a satellite location at T6, one of FAU's historic World War II era buildings on the northeast corner of campus. It is the setting for instruction in hand papermaking topics, as well as paper decoration. 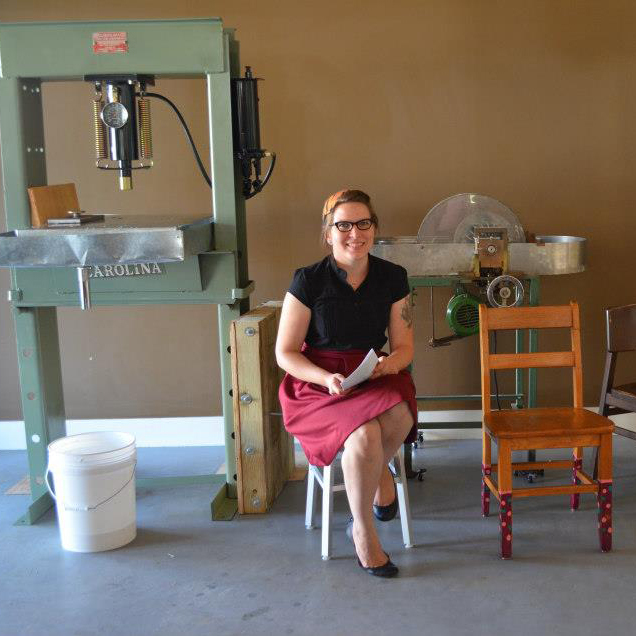 This is our setting for teaching workshops and classes in bookbinding, book structures, boxmaking, paper decoration, and other such topics. It includes comfortable work stations, board shears, and numerous nipping presses. "A book is like a garden in the pocket"
The Jaffe Collection is open to researchers Monday to Friday 10 AM to 4 PM, by appointment. For those who wish to learn more about the Jaffe Center for Book Arts, a 60-minute tour is offered each week on Wednesdays at 3:00. These set tours are lead by JCBA student assistants. No reservations are required, but we do ask that you arrive on time. Visitors should park in metered parking in the library parking lot. Together with his late wife, Mata, Arthur built an outstanding collection of books as aesthetic objects focused on artists' books and limited editions. His collection began over 50 years before he and Mata gave these books to FAU in 1998. Rather than being the end of something, that gift was an inspired beginning, garnering an enthusiastic group of loyal supporters that grows with each passing year. The Arthur & Mata Jaffe Center for Book Arts is their legacy.